Rooms were so dirty. There were no proper cleaning. Room carpet was so dirty that every time you walk on carpet your feet become black. We have also seen some shaddy guest in the hotel. Pros. They had a complementary breakfast for all the costomers which was something unexpected. Good location if you are not driving. Near spots in downtown, not so far from Disney if you would like to take U-ber. Staff were friendly and helpful. Room was neat and tidy. Grounds around the hotel were very clean. It is an older style building as is most of this type of accommodation around LA but was good value for the money. We have stayed there several times this year and would stay there again. I was surprised to see the hotel to be honest I had thought was like a motel when I was booking.getting there i was soo pleased.it's was beyond my expectations.cleanliness,customer service &the atmosphere was perfect. Is a nonsmoking area which I did appreciate can't stand smoking,was with my friend & we agreed if we happen to be in LA will book the same place.be blessed for Jobs well done. 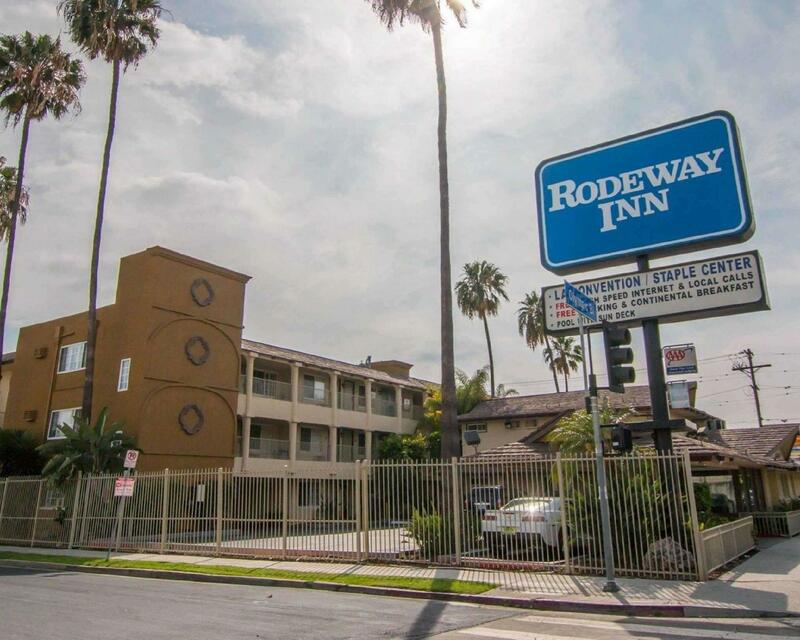 The stay is good but hotel location is not good (Downtown LA) - a bit scary because many homeless stay nearby in the night. But the hotel itself is close to LA Live, which is good. das hotel ist nicht schlecht preisleistung ist gut. das frühstück ist auch nicht schlecht es gibt orangensaft kaffe toast jogurth früchte donust flakes und bagels mit butter und konfitüre. es hat auch gratis parkplätze. die zimmer waren sauber und das zimmer wurde jeden tag geputzt. wir können dieses hotel weiter empfehlen und würden es wieder buchen ist in der nähe de staples center und man kann alles schnell erreichen. Mas de lo que esperaba. Gracias. สถานีรถไฟใต้ดิน Westlake/MacArthur Park - ระยะ 0.74 กม.